Tried, tested, and loved by BuzzFeed editors — including The Spatty, Lime Crime Unicorn Hair, and It Cosmetics CC Cream! 1. The Spatty digs deep within your almost-empty bottles to scrap out the last remaining bits of product (especially, ahem, after the pump for your primer bottle stops working) so no 🤑 dollars 🤑 go 🤑 wasted 🤑. 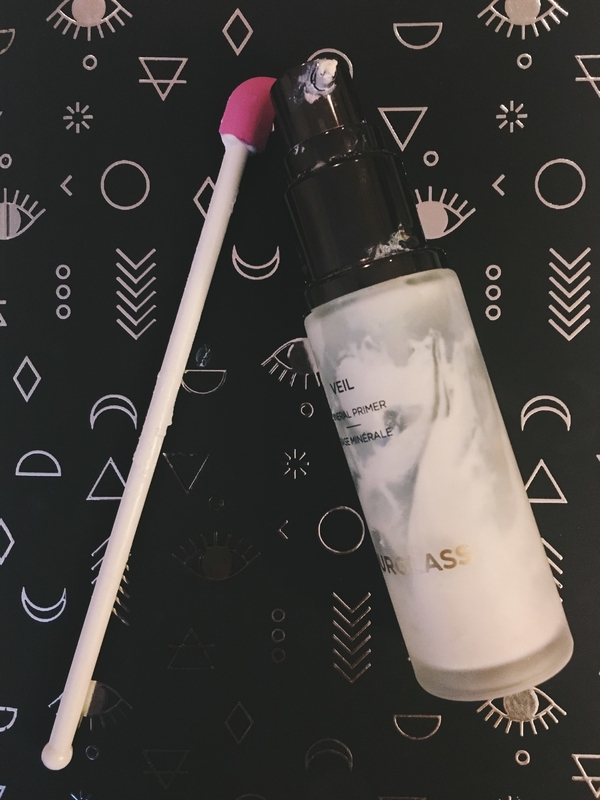 The Spatty is a must-have for anyone who owns beauty products and WILL NOT REST until every single drop is scrapped from the bottle (hello, ME) — especially when the product is Hourglass Mineral Veil Primer and costs a pretty $54 (yeah, it hurts). I've seen The Spatty featured on countless BuzzFeed shopping posts, including the best Shark Tank products. So I knew it'd end up in my Amazon cart eventually. It's one of those things that makes saving money just a tad easier, and I'm here for it. It's literally a tiny spatula that can wiggle its way through any narrow opening and has a curved edge on one side to get to the hard-to-reach areas of a round bottle, especially at the bottom. So when your pump stops working and your tiny heart breaks at the sight of all the magic white material stuck inside an inflexible (but very chic) glass bottle, this baby works much better than chopsticks or whatever other ratchet means you can think of. I'll definitely be using it with my Fenty Foundation and many other products in due time. But! Its uses don't simply stop at makeup products — it works just as well for bottles of conditioner, nail polish, and condiments! It takes two seconds to wash (it's also dishwasher-safe, but I'd rather just hand-wash) and then spends the rest of its existence sitting pretty in a makeup brush holder with all of my other brushes! Get it from Walmart for $4.94 or Amazon for $7.99. Also available in a longer 12" version. 2. 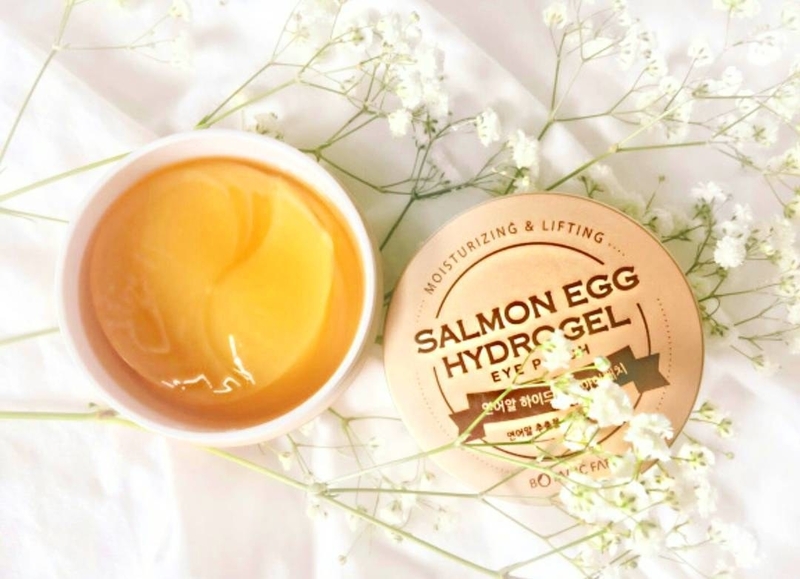 Botanic Farm Salmon Egg Hydrogel Eye Patches make under-eye puffiness say a teary farewell because these luxe and hydrating gold jellies are filled with salmon egg extract, snail secretion filtrate, colloidal gold, and aloe vera to strength the delicate skin around your peepers, especially after a not-so-great night of sleep. 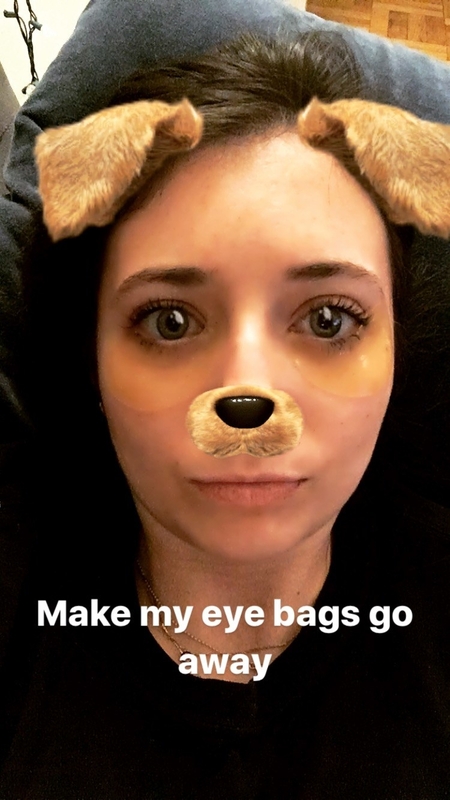 If I get less than ten hours of sleep my eyes get bags. No, what's a bigger word for bags....I get SUITCASES. And as many millennials can relate, I do not always get ten hours of sleep. If ever! So I needed a solution pronto (and one that doesn't cost me a million dollars tyvm). Enter these eye patches! Not only are they super-effective, they're cruelty-free, easy to use, and great for sensitive skin. Believe me, you can touch my face with a speck of dirt and I'd either get a rash or a pimple. So if these babies work for me, they'll probably work for you! They're made of salmon egg, snail slime (yea), and colloidal gold, so it's really just forces of nature telling your eye bags to take a seat. Plus, there are 30 patches so you have a whole month to try them out. Did I mention they are really, really easy to use? I usually try a bunch of beauty trends and then promptly drop them because ~effort~, but I literally just plop them under my eyeballs and continue to watch Netflix. You only need to use them for about 15 minutes and it's hard to forget to take them off — the longer you wear them, the firmer they become. Get a container of 30 from Amazon for $29 or Botanic Farm for $30. Take 25% off on Botanic Farm with our ~exclusive~ coupon code buzz25! 3. 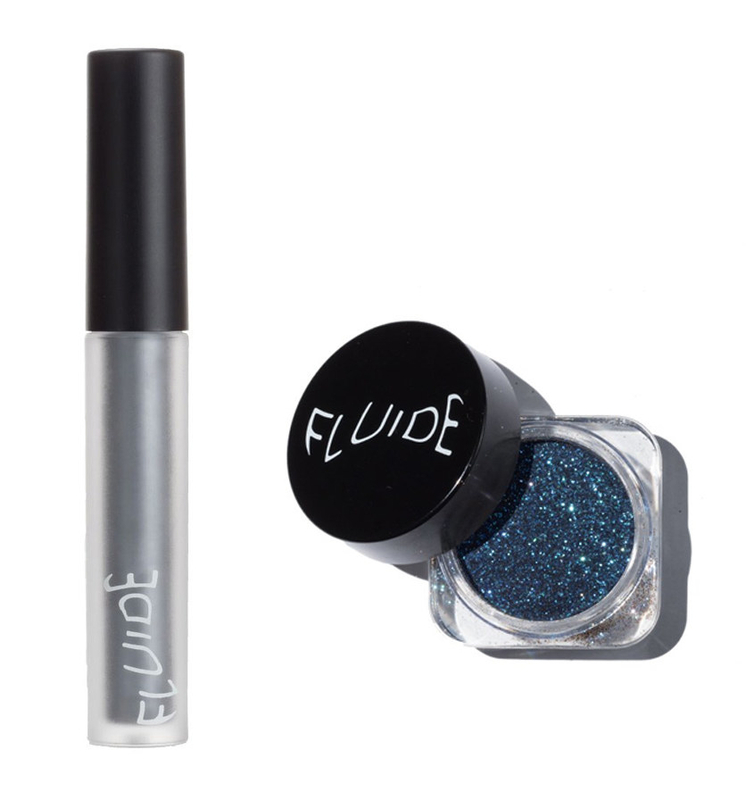 Fluide Liquid Lipstick in Silver Future and Glitter in Electric Sea celebrates and creates a safe space for the sheer beauty of LGBTQ bbs with showstopping glittery and metallic products that give back to organizations supporting the health and legal rights of the LGBTQ community. So, when I heard a makeup line that is inclusive of LGTBQ folks and people of color was FINALLY launching, my little trans heart almost exploded. Then I found out the launch party was in Brooklyn, so of course I went. Now before I go any further, let me tell you about Fluide – this line is queer-run, trans/non-binary inclusive (their website and Instagram are full of amazing, diverse models), and all of their products are vegan/cruelty free! Okay so, back to me getting my makeup done at the launch party and falling in looooove with the Silver Future Liquid Lipstick. 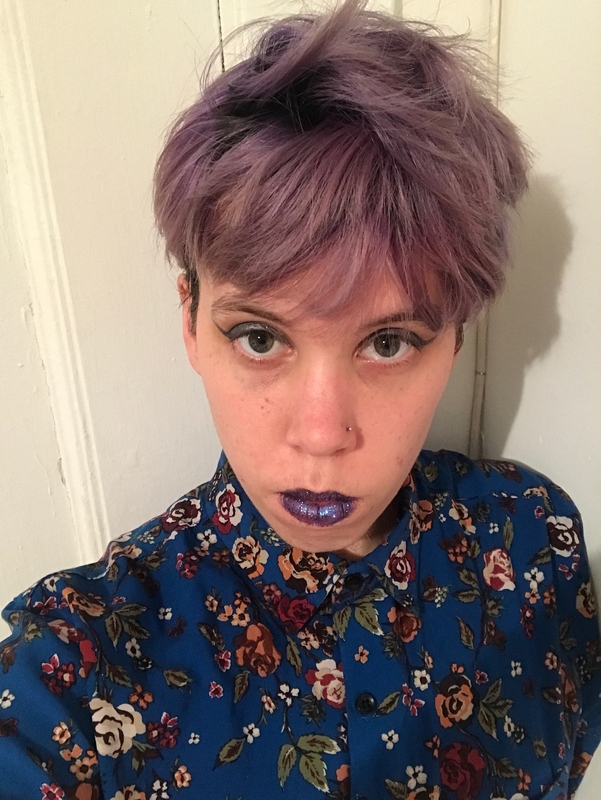 I recently dyed my hair lavender and generally wear a lot of cool colors, so this metallic look + my lavender/cool colors look = possibly the greatest look I’ve ever had. When I first tried the Silver Future, the MUA at the launch used it as liquid liner for a cat eye, then applied as a lipstick with Electric Sea Glitter over it (which I am equally obsessed with). 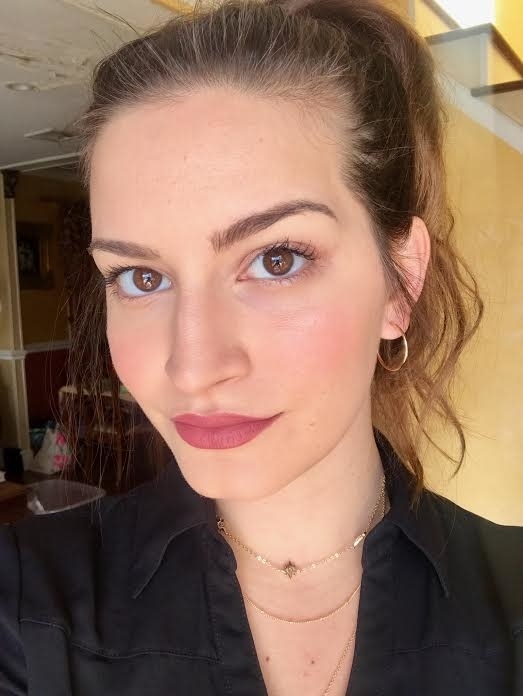 Since then, I’ve worn this color allll the time, and I love how bold it is – seriously, all of Fluide’s liquid lipsticks have three times more pigment than any other lipsticks currently on the market. And I can vouch for this lip being suuuper smooth and easy to apply — and it stayed on through water drinking, freezing temps, kissing, and performing poems. I like wearing this on stage for a boost of confidence – everyone always compliments the color, and it makes an otherwise understated outfit really pop. Get Liquid Lipstick in Silver Future from Fluide for $16 (available in nine shades total) and Glitter in Electric Sea for $12 (available in six shades total). 4. Marin Bee Honey Butter keeps your overworked keyboard hitters baby soft and hydrated all day long AND each sale lends its hand towards bee conservation. For more like this, check out 12 Unexpected Things Happy People Keep On Their Desks. 5. Lime Crime Unicorn Hair (shout out to Valentine!!) is the perfect no-harm, no-bleach semi-permanent dye of ~your dreams~, whether you're looking to restore your bleached strands and regrowth to lush red glory or upgrade your bleached blonde ends with a generous wash of magnificent pink. I am that person who, upon seeing how often I willingly choose to chemically alter my hair, you’re surprised to see still has any hair left on her head. I went from long red locks to short cropped silver in the same amount of time it took me to finish all four seasons of Grace and Frankie (a couple of days). The damage done to my hair was unspeakable. And the problem was (as every stylist that saw me predicted), I wanted to head back to bright red the minute blonde got boring (which took about a minute). I began to refill my follicles with red, which is notoriously hard to keep, and even harder when your hair is damaged, meaning I was spending a hefty penny keeping it fresh. Then I met Lime Crime’s Unicorn Hair, a full-coverage deposit color that costs a fraction of the price of a salon service. Ok y'all, I've been agonizing about dragging my old-but-professionally-bleached blonde hair back to a salon and drenching it in new, magical colors. Why agonizing? Because of HIGH PRICES. It's enough to make me cry and curl up into a ball. So when I saw Lime Crime's Unicorn Hair, I was like, "Can I really just dye my hair myself for $16? Will it REALLY work??" 👀👀👀 It'll set you back $32 if you *actually* wanted a dark pink — I used Dilute (a pastel mixer/toner) to tone down the Valentine red a bit (don't ask me why I didn't just get the Strawberry Jam color 🙄). Get Valentine from Amazon for $16. And all of the other colors (including the pastel Dilute mixer) from Amazon (available in 11 colors) or Lime Crime for $16 (available in 27 colors). 6. 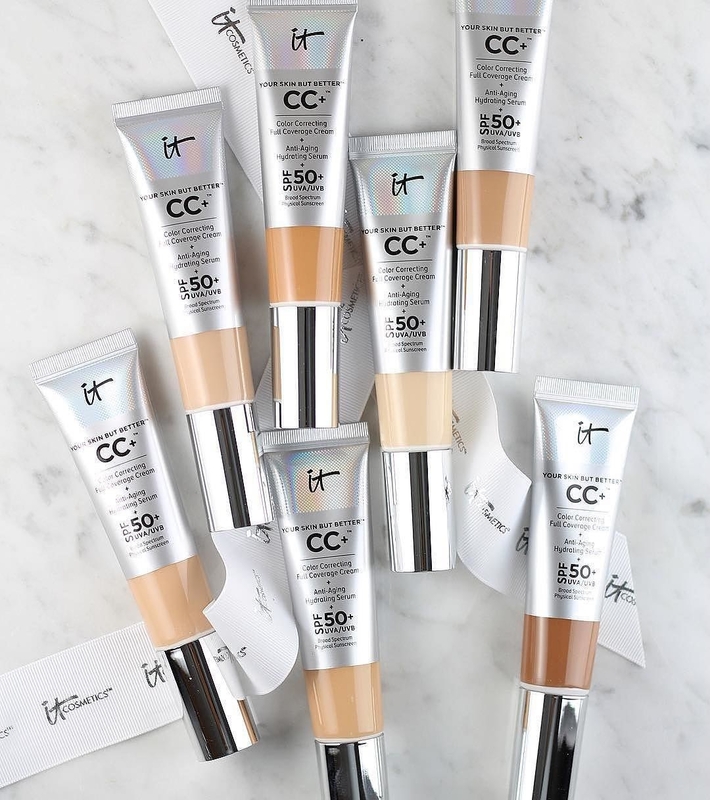 It Cosmetics Your Skin But Better CC+ Cream gives your face a flawless, all-day, actually-looks-like-skin finish with ample SPF 50 protection in one easy step, so you have one less thing to worry about before running out. 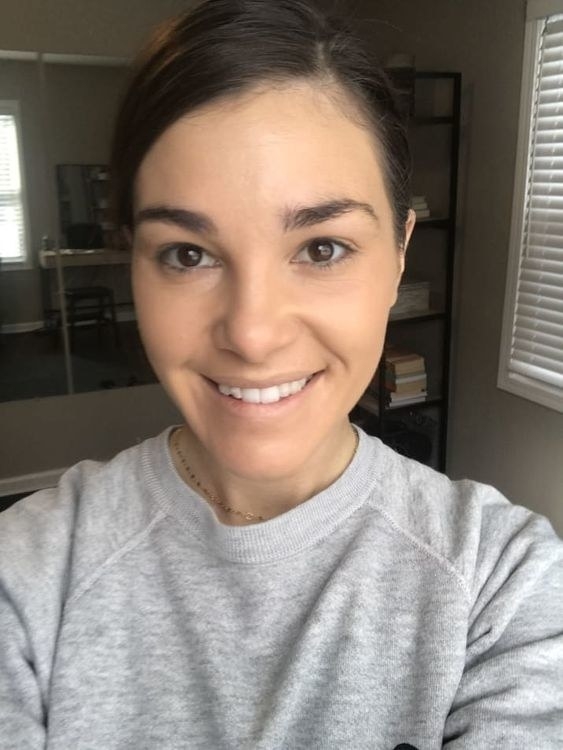 "I had recently started using Retin-A, a skincare product that my dermatologist had prescribed. Because Retin-A causes rapid cell turnover, it’s extra important to wear a high SPF every day — and the It Cosmetics CC Cream caught my eye because of its whopping SPF 50. P.S. Read the full review here! Get the "normal" CC Cream from Sephora for $15+ and the Illumination Cream for $38 (both available in seven shades). 7. 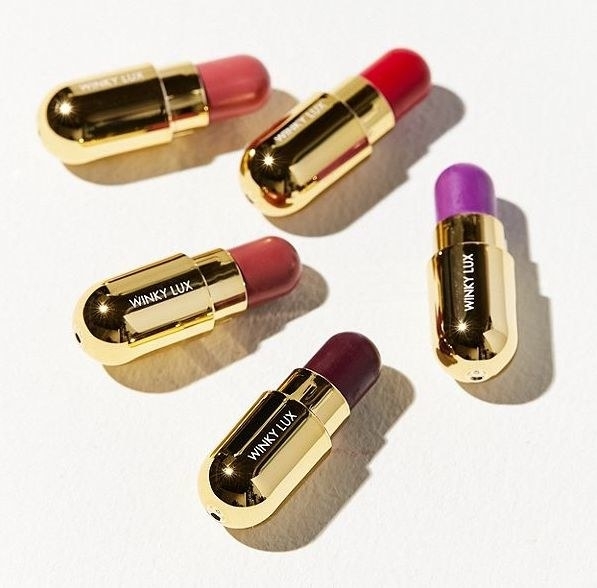 Winky Lux Mini Pill Lipstick Kit offers the darn cutest lippies and barely takes up any room (no more overflowing bags! ), while still packing in so much pigment that'll last through halal food and everything else the day throws at you. My bag is a telltale sign that I am a messy person. I throw in a whole bunch of crap in there before I leave for work: lipsticks, mascaras, concealers. You name it, it’s in my bag. So call it a case of pre-spring cleaning, but I’m trying to make a more conscience effort to keep my purse organized. One way to make sure my purse isn’t overflowing with beauty products? The size of said products. Which is why this pill lipstick from Winky Lux is my new beauty bread and butter and I want the whole damn world to know it. Buckle in, kids, I have a glowing review coming your way. This lipstick is SO FRIGGIN’ TINY AND CUTE. It is maybe half the size of my pinky, meaning it can fit in any of the various pockets throughout my everyday bag. It’s just super convenient because it takes up almost no space, so I can also store it in my wallet, my tiny clutch that fits absolutely nothing, my pocket, etc. Besides that, it’s also super easy to apply and LASTS. Like, all day. I’m writing this at 1:41 PM, applied it at 8:00 AM, and it still looks fantastic. I haven’t had to reapply it once — even after eating halal food. Get a set of five from Winky Lux or Urban Outfitters for $16.